“I’ve been practicing Pilates for several years now to help me stay strong. That couldn’t have been more true than when I had my first baby. All of my mom friends warned me about recovery postpartum but I didn’t notice any of those issues which I know was due to my Pilates practice. Not only did I recover more quickly than they did but also felt great! All thanks to Pilates and working my pelvic floor!” – Nicole B. 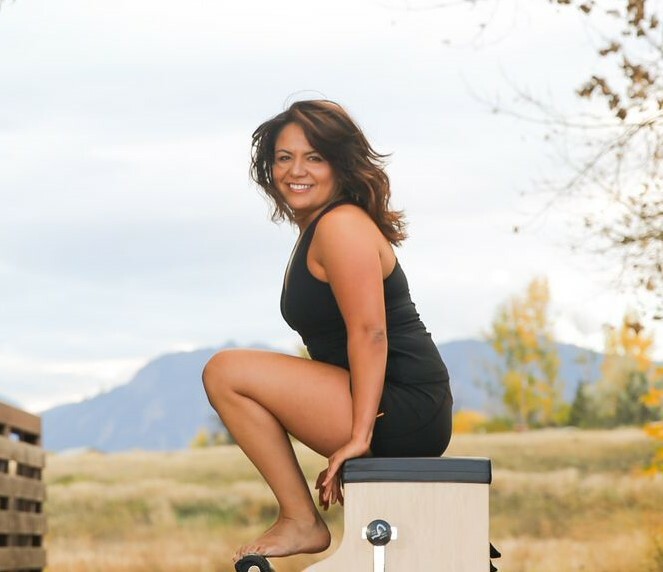 “After years of attempting traditional physical therapy with minimal lingering benefits, I was fortunate enough to find Sandra’s approach to rehab through Pilates supported by other modalities such as PDTR, etc. Her deep knowledge on how the body works and is supposed to move combined with an arsenal of tricks on how to help us break patterns that we have developed is a winning combination! I’ve made tremendous whole body Improvement and feel the best I have in years!” -Pam D.
This class is great for individuals looking to gently strengthen their bodies through a series of simple floor exercises that can easily be followed and replicated on your own. The work during this class is gentle and captivating. As a result it’s easy to create strength at the joint level, which allows you to access your natural flexibility that we may shy away from. Great way to find your Mind-Body connection and a sense of well being. 6 student max, 50 minute session. Feel stronger and taller after each and every session, this is a fun and invigorating class on the mat. Props are often used to provide feedback to allow better understanding of your own movement. The exercises are designed to align, lengthen, and strengthen the body in a unique way. Classes are suitable for students of all levels and abilities. 4 student max, 50 minute session. Focus is placed on precise movements originating from the core. Working from the deepest layers of muscles, which stabilize and support your spine and pelvis, resulting in a strong, flexible spine with ideal posture and alignment. Classes emphasize the foundational principals of Pilates while offering modifications and variations to suit each students individual needs. 4 student max, 50 minute session. This is movement meditation session bringing together the mind, body and spirit. Great for those looking to learn to meditate and better connect with their physical body. This combines, guided meditation, movement practice and journaling. 6 students max, 60 minute session. Its your birthday month! Let’s celebrate your birth with movement. Class will be offered to all DDPS clients wanting to taking advantage of this gift.